With Burghley underway and the FEI discussing removing the co-efficient I thought I would add a little geekery and see how things play out with the results under the current system (with 1.5 multiplied to the dressage scores) and without. Without the co-efficient the scores are a lot tighter. Kirsty Short for instance would be 23 penalties behind Mark Todd rather than the 34.5 she currently is. I will update tomorrow after XC and we will see if there is a difference between the real leader board and the one without the co-efficient. Are You Psyched Out? 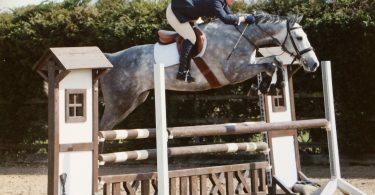 I-canter part 1: Show Jumping Nerves and How To Cope. Playing With the Big Boys: Burghley!